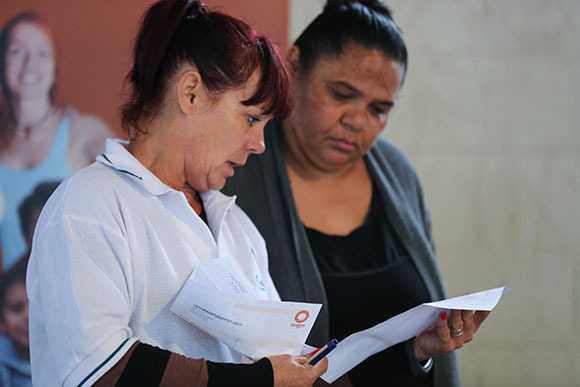 The NSW Aboriginal Housing Office and social enterprise Fourth&Centre are looking to develop partnerships with businesses and communities to support the roll out of a pilot program to remove “energy poverty” from Aboriginal social housing tenants. Although winter is over and spring has arrived, it is not all good news. For many people, the extra costs associated with heating their properties during the colder months will bring about a nasty shock when their energy bills for the winter quarter arrive in the mail. Where climates are very cold, such as in central western NSW, bill shock can be particularly harsh, especially for people living on low incomes who are most vulnerable to high energy costs. The consequences of energy-related hardship can be crushing. They include energy rationing, energy-food trade offs, and high levels of stress and anxiety. Disconnections from energy can be very disruptive to households and family life and can lead to anxiety and emotional disorders, loss of food and inability to wash. This is why Dubbo’s Aboriginal social housing tenants are being invited to participate in a new energy saving pilot program. The pilot, which is being run by the NSW Department of Family and Community Services’ Aboriginal Housing Office and its social enterprise partner Fourth&Centre, will see 151 Aboriginal social housing properties retrofitted with solar photovoltaic (PV) systems and an Australian-developed smart energy management system. This will be supported with an education program for tenants, focusing on how to reduce energy use in the home and how to access energy support programs and services that are available. We chose Dubbo in Central NSW as the location for the initial rollout of the program because Dubbo is an area where many people are experiencing severe energy hardship. A recent report commissioned by St Vincent De Paul using AGL data shows that Dubbo has the second highest electricity disconnection rate in regional and remote areas of NSW, Qld, Vic and SA. Aboriginal social housing tenants living in Dubbo have told us that they have high energy debts (it is not uncommon for people to be thousands of dollars in debt), and that they are making associated energy-food trade offs, rationing energy and feeling extremely stressed because of their bills. “This important initiative provides our clients with support and services to help increase their financial freedom,” Aboriginal Housing Office chief executive Shane Hamilton said. The Aboriginal Housing Office and Fourth&Centre are investing significantly in the pilot with the aim of expanding it out to Aboriginal social housing properties across NSW over the next few years, starting with those in the western parts of the state, where the extreme climate and remoteness from metro NSW makes energy extremely expensive. 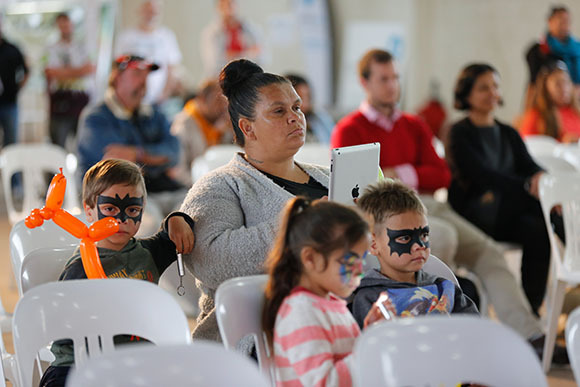 Our vision is to help Aboriginal social housing tenants out of energy poverty by retrofitting their properties with technologies that make the properties perform better, and by empowering them to take control of their household expenses and improve their wellbeing. We are looking to develop partnerships to support the roll out of the program and maximise its impact. Businesses play an important role in the community. We want to work with you because we believe that by working together we can achieve our vision of removing energy poverty from Aboriginal communities. We offer a variety of partnership options for you to get involved in the program. These partnership offerings can be tailored to meet the needs of your business. If this program aligns with your organisation’s goals and priorities and you believe there may be an opportunity for you to work with us on this important program, please get in touch with us. For more information contact Tessa Manning at Fourth&Centre via email tessa@fourthandcentre.com.au or on 0409 905 251.